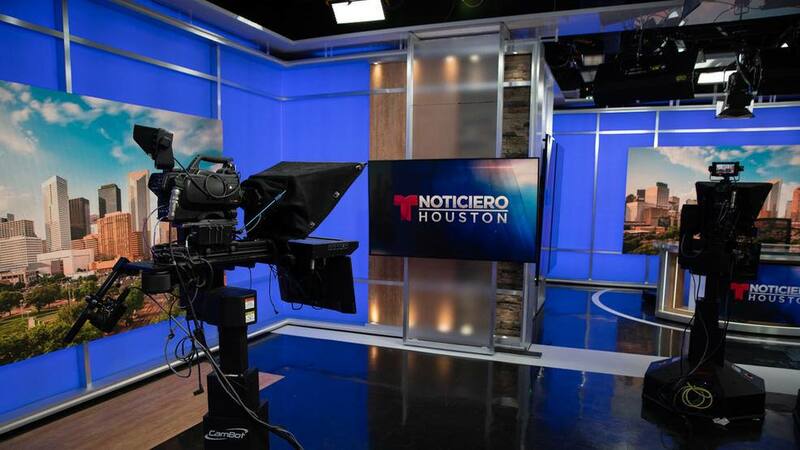 KTMD, the NBC O&O Telemundo affiliate serving Houston, has debuted a new set. 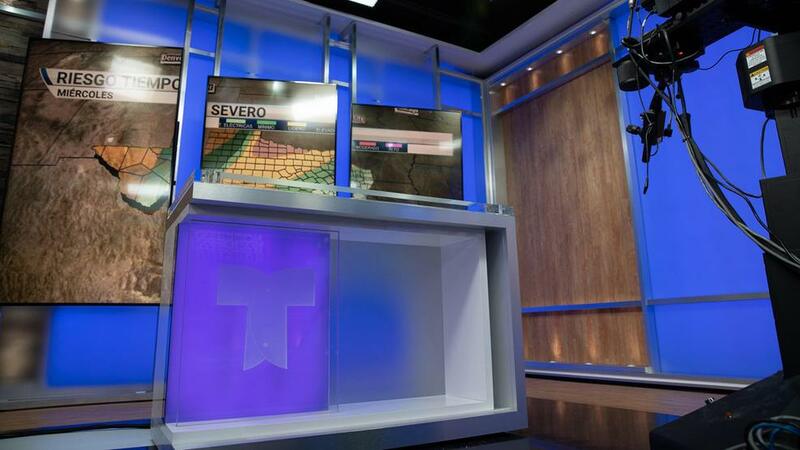 Designed by John Casey Production Design, the new set mirrors looks used by other Telemundo and NBC O&O stations while managing to pack a large amount scenery and flexibility into a relatively small footprint. 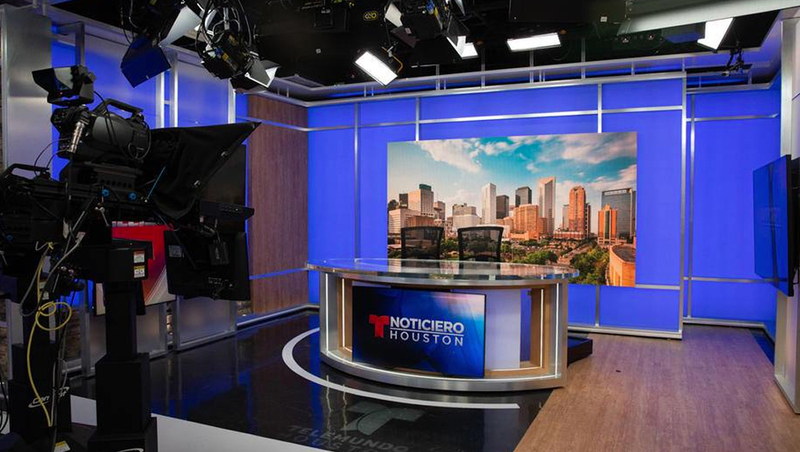 The main anchor area is situated in front of a backlit wall with metallic frames and a seamless video panel array mounted in the center. 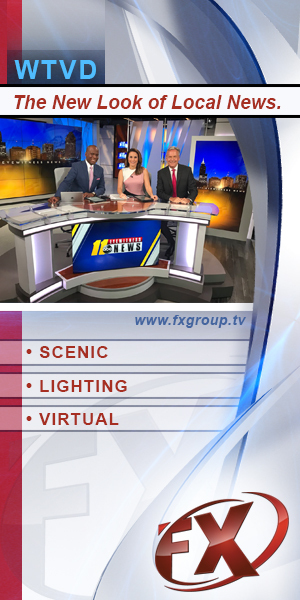 Flanking this are a variety of additional video panels, frosted glass, metallic, white gloss and faux stone panels and segments that give the space a layered while also maximizing flexibility for the station’s newscasts. 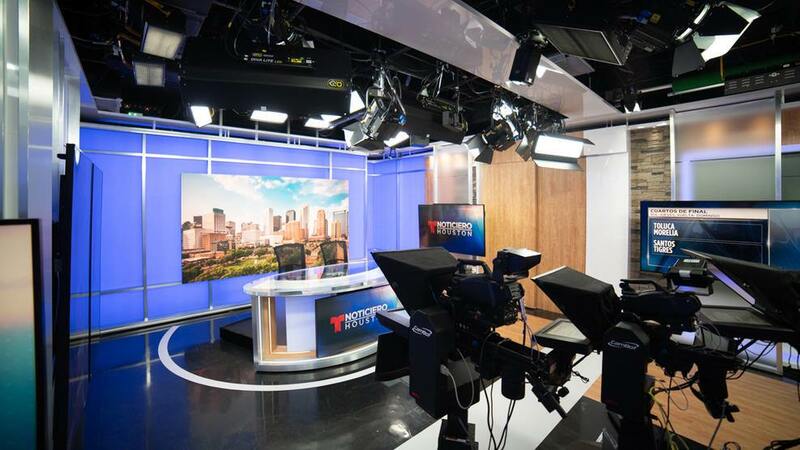 All told, the set includes a myriad of possibilities for anchor shots, in-studio standups and toss shots, including from an alcove to the left of the main anchor area that boasts another seamless video wall. The studio also includes a small weather presentation area along with an additional pod positioned in front of a triptych of vertically mounted panels.